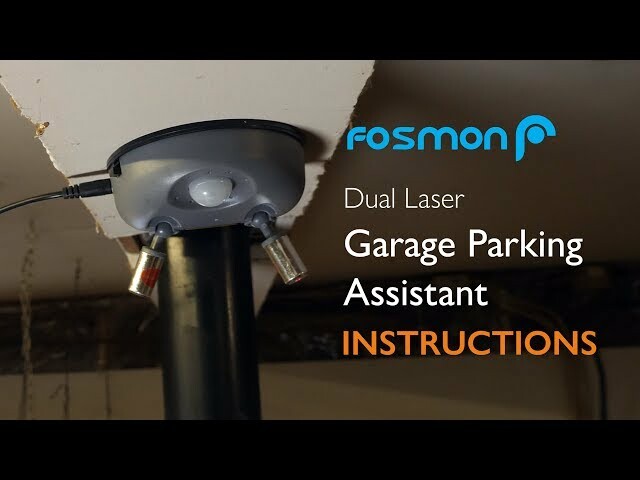 [MAKE PARKING A BREEZE WITH FOSMON'S MOTION ACTIVATED DUAL LASER GARAGE PARKING ASSISTANT] Fosmon's dual laser parking assistant will allow you to park in the correct spot every time. It will all but eliminate the risk of vehicle damage due to poor or distracted parking. [PROVIDE PARKING ASSISTANCE FOR UP TO TWO CARS] With the simple flip of a toggle switch, the garage parking aid can individually control the Class 3A lasers, allowing you to set up parking aids for one or two parking spots. [MOTION ACTIVATED LASERS] With an integrated motion sensor, the garage parking aid's lasers will automatically turn on and off based on the movement of your vehicle. The lasers will turn off after a 30-second delay. [9V BATTERY BACKUP] The dual laser garage parking aid can use a 9v powered backup battery, ensuring it will function even when the power goes out. Eliminate the risks that come with not parking correctly in an enclosed parking spot or garage. 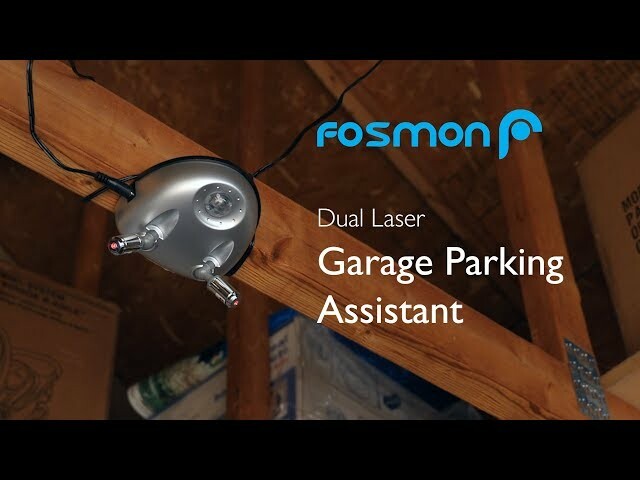 Fosmon's dual laser parking assistant will allow you to park in the correct spot every time. With its simple installation and setup, the garage parking aid will be ready to use in minutes. No more busted bumpers and doors. The garage parking aid allows for individual laser control for use with one parking stall or two. Simply flip the toggle button located on the side of the unit to turn on one laser or two. The lasers have a 360-degree adjustment, ensuring that no matter the vehicle or parking spot size, the laser will be able to hit the mark each and every time. Whether you are setting up one laser or two, the garage parking aid has a large motion sensor built in, allowing for the lasers to automatically turn on and off based on the movement of your vehicle. The lasers will turn off after 30 seconds of no movement. Even if the power goes out, the dual laser garage parking aid can use a 9v powered battery backup. NOTE: Battery not included.